Endura is an alcohol based fast drying makeup that provides rich coverage, unlimited blending and layering, no cracking, clog-less performance and extreme durability (sweat and waterproof). Made with FDA approved colors, Endura is perfectly safe for direct skin contact and prosthetic applications. 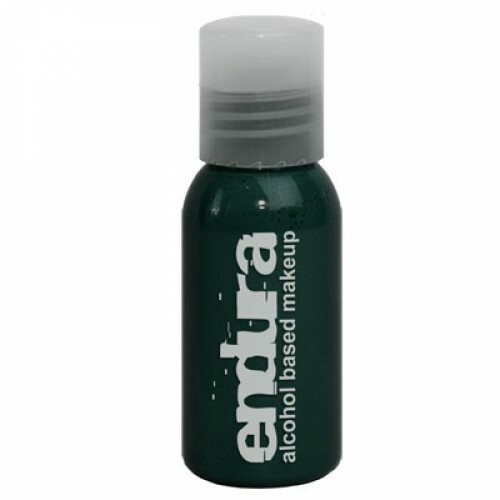 Endura dries upon contact, making it ideal for a fast paced special effects environment such as haunted houses, movie sets, body art operations and theater makeup departments. 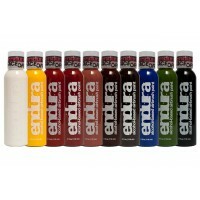 Endura Pro SFX Edition consists of six primary and four special/SFX colors designed to create all so.. 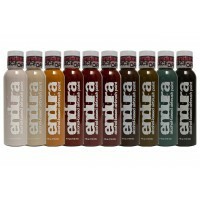 The EBA Endura Undead Edition consists of 10 unique colors designed to create countless undead and d.. 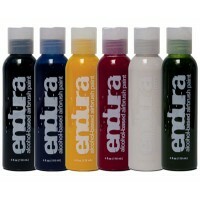 Choose 6 of the basic Endura Colors.For more FX colors check out the SFX, Undead, Contour, & Aut..